1.1 What Is Pulsatile Tinnitus? 1.2 What Causes Pulsatile Tinnitus? Pulsatile tinnitus is a condition characterized by a ringing or unwanted noise in the ear without any corresponding external sound. Of the two kinds of tinnitus are pulsatile and non-pulsatile. Pulsatile tinnitus can best be described as sound which corresponds to the beating or thumping of the heart. In this article we will outline some of the more common characteristics of pulsating tinnitus and briefly go over some of the causes and treatment options. The word tinnitus comes from the Latin for “ringing”—in this case ringing in the ears—and Pulsatile Tinnitus, while rare, makes up about 3 percent of all tinnitus cases. Those suffering from Pulsatile Tinnitus often report a thumping, swishing, swishing or clicking sound in their ears which seems to correspond precisely with the beating of their own heart. In certain cases, pulsating tinnitus can be objective, meaning the sound can be picked up by a physician using instruments, but in most cases the condition is subjective, meaning it can only be heard by the tinnitus sufferer. Needless to say, the subjective form of tinnitus can be extremely frustrating for those who suffer its effects. Pulsatile Tinnitus, according to health experts, is not a medical condition, but rather a symptom of some underlying cause, and because the sound is so regular, and seemingly marches in time with the beating of the heart, those who suffer from pulsating tinnitus feels as if they are constantly being tormented. Pulsatile Tinnitus can be a symptom of a number of underlying causes, but many doctors believe the nature of Pulsatile Tinnitus—corresponding to the beating of the heart—could be an indication of abnormal blood flow, not necessarily to or from the heart, but in the neck and head area. Tumours in around the ear can restrict blood flow and may cause tinnitus to develop. These tumours are usually benign and if they are slow growing (as with the elderly) most of the time they do not require surgery. Hypertension, or high blood pressure, has been known to cause tinnitus symptoms as have some of the medications for hypertension. There are many different types of brain lesions, one of which is commonly known as an aneurysm, but all brain lesions share one primary characteristic: they put too much pressure on the veins and the head and neck which in turn can lead to pulsating tinnitus. Meniere’s disease is a condition characterized by a disorder of the middle and inner ear and is believed to be triggered by an imbalance of pressure in the inner ear fluid. Meniere’s is a very common cause of pulsating tinnitus. Conditions such as anaemia, hyperthyroidism, and even pregnancy can cause increased blood flow through the jugular vein and can present with many symptoms including pulsating tinnitus. Atherosclerosis is characterized by a narrowing of the arteries, usually due to plaque build-up. This can decrease the flow of the blood to the brain, head and neck areas and can bring about pulsating tinnitus. With benign intracranial hypertension there is increased pressure in the fluid around the brain in the absence of any real tumour. This can also lead to pulsating tinnitus. When arteries become twisted, especially in the head and neck area, it can cause turbulent blood flow and can lead to pulsating tinnitus. Ear infections can cause fluid to build up in the middle ear. This increased pressure, known as effusion, can also cause pulsating tinnitus. There are several possible causes for Pulsatile Tinnitus, but in many cases this form of tinnitus is labelled idiopathic, meaning the exact cause cannot be determined. This can be especially problematic for physicians, because unless the exact cause is determined, most medical treatments for the condition, including medication and surgery, either cannot be implemented or will be ineffective. For example, medication can sometimes be used to help control pulsating tinnitus symptoms, but unless a cause is determined, symptoms will usually resurface once the medication is withdrawn. The best way to diagnose pulsatile tinnitus is to obtain a clinical history. Patients will offer typical symptoms that are suggestive of this condition. On examination of the patient, a specific pulsatile noise may be heard when the stethoscope is placed over the offending artery or blood vessel. This form of pulsatile tinnitus where the doctor can actually hear the pulsations is called objective pulsatile tinnitus. However, there can be certain cases where the sounds are not audible to the doctor but only audible to the patient. This is called subjective pulsatile tinnitus. Patients with pulsatile tinnitus will require detailed hearing tests along with additional investigation such as an ultrasound scan and magnetic resonance imaging of the head and neck. Additional investigations assessing the inner ear may be required. Specialised investigation such as angiography can help delineate the blood vessels and assess any tortuousity or alteration in blood flow that may be causing the pulsatile tinnitus. Of course, simple blood test such as haemoglobin can help determine if the patient has underlying anaemia that is the cause of the tinnitus. Treatment of pulsatile tinnitus depends upon the underlying cause. In individuals who may have anaemia or high blood pressure that is causing the condition, specific treatment with a blood transfusion, iron tablets or certain medication may be required to help restore normal blood flow. In patients who may have tumours or similar conditions, a neurosurgical opinion may be sought and patients may require further investigation and specialist treatments to get rid of the problem. The presence of any arterial abnormalities may require test such as angiography and stent insertion. It must be borne in mind that not every patient with pulsatile tinnitus can be managed through medical therapy. In many cases, there may not be any underlying causes discernible and in such situations, patients may require specialist treatments such as cognitive behavioural therapy, relaxation therapies and counselling. 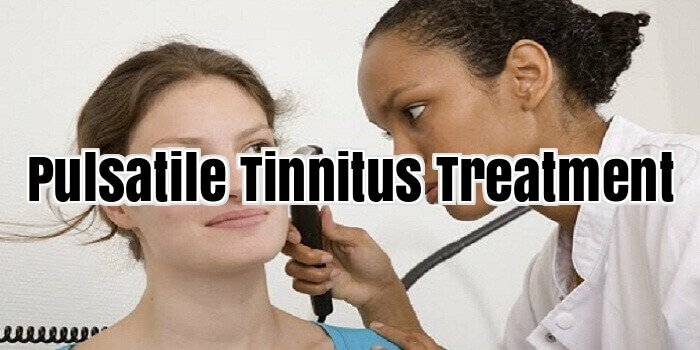 Tinnitus retraining therapy is a method of training the patient to ignore the tinnitus and this is particularly applicable in those individuals who tend to be a lot more aware of the sound and are rather disturbed by it. Pulsatile tinnitus is a well recognised clinical condition where the patient experiences a rhythmic humming or ringing sound in the ear which is in perfect synchrony with the heartbeat. There can be a number of different reasons for this occurring and treatment options must be directed towards the cause. However, not every individual may obtain complete relief and specialist treatments such as psychotherapy and cognitive behavioural therapy may be required to help the patient ignore the symptoms and lead a normal quality of life. Tinnitus can affect any individual, regardless of his or her age. For this reason, it is very important to take preventive measures. Here are the treatment methods for tinnitus. Ear Drops: Pulsatile tinnitus caused as a result of ear infections can effectively be treated with the aid of ear drops that contain hydrocortisone. This helps to alleviate the ringing noise as well as itching within the ear. Ear Plugs: Individuals who have this disorder can make use of ear plugs. This helps to reduce unwanted as well as excessive noise. Tinnitus Mask: This is a type of hearing aid which produces a more tolerable sound than the ringing noise which one hears. It functions as a form of distraction and helps to eliminate the ringing noise. Use of Drugs: If ear infection is the cause of the tinnitus, then it can be treated using antibiotics. If anxiety is the cause of the tinnitus, a physician might prescribe antidepressants such as amitriptyline. Cognitive Behavioural Therapy: The healthcare professional examines the patient’s negative beliefs, thoughts, attitudes and behaviour and prescribes drugs for the same, using cognitive behavioural therapy. Surgical operation: If an individual has chronic tinnitus, or tinnitus as a result of a benign tumour, he or she should go for surgery so as to get permanent relief. In addition to the treatments mentioned above, an individual who has tinnitus can choose treatment methods such as biofeedback, electrical stimulation, habituation as well as counselling treatments. The ear is an extremely delicate organ. Thus, it can become vulnerable to injuries and disorders, even without you knowing it. Thus, always give your ears proper care, keep them clean, go for regular checkups and you will not experience such problems. In addition, keep in mind that pulsatile tinnitus might be a symptom of some underlying medical ailment. Thus if you notice any tinnitus symptoms and signs, visit your ENT professional without delay. Pulsatile Tinnitus is rhythmic thrashing sounds that are in speed with the sufferer’s heartbeat. This malady regularly causes anxiety, depression and panic episodes in those folks unlucky enough to be bothered with this condition. However if you are suffering from Pulsatile Tinnitus agitation take heart for it doesn’t have to have an adversary affect on your life. 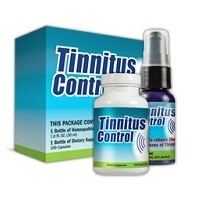 Once you have learned how to heal your Tinnitus you won’t be racked with its symptoms and your life will be freed from anxiousness due to this condition. Many people beset with this condition hear the rhythmical beating sounds steadily while others experience it on an intermittent basis. Unknown to most there’s a natural way to rid of these symptoms. By educating oneself on its traits and causes and employing healthier life changes relief from this debilitating condition will be realized. Many doctors advocate mood depressants or differing kinds of antipsychotic drugs for treating Pulsatile Tinnitus. As the problem lies in the body in the form of damage to the inner ear, blood pressure, an incorrect diet or something else wrong with the body these drugs do not supply a treatment for the condition but simply tend to mask or lessen the symptoms. In order to affect a permanent cure for the condition you first must learn its cause and then eliminate it. Pulsatile Tinnitus if not treated could cause significant effects in all aspects of a persons’ life. The continuing or intermittent regular beating or clicking sounds can and do create anxiousness, depression, and other such issues. In a number of cases the depression or tension can become so claimed the person may even contemplate suicide or some other drastic remedy to rid them-selves of this condition. At the very least if the condition goes un-treated it’ll have a deleterious effect on a person. Happily for those who suffer with Pulsatile Tinnitus there are options for treatment available aside from the conventional treatments. There are scientifically proven natural methods available to treat the reason for this condition which provide lasting relief. Maybe a lot of you women readers have come across or even have noticed an unrelenting ringing in the ears just before, during, or right after pregnancy. This sound is not similar compared to what is heard from an external source. This somehow frustratingly disturbs your hearing coming from the environment. This is known to be as pulsatile tinnitus pregnancy. Although, typical kinds of tinnitus are not of a pulsar type, not many pregnant women have acquired this rare kind of condition. The constantly spaced period of perceived sounds observed is similar to ringing. Pulsatile tinnitus pregnancy may also be assessed to have a sound resembling as a buzz, hiss, pop, or click. When suffering with this problem, it is significant to be familiar with why this experience occurs as well as what treatment process to address it. Pulsatile tinnitus happens when you are exposed to a too much loud noise and may have damaged the inner section and lining of the ear. With pregnant women who many may believe have not been similarly exposed to such loud noises, how is it feasible for them to attain such disorder? One of the associated factors for pulsatile tinnitus pregnancy in women would deal with high risk of child bearing for the reason that higher possibility of contracting otosclerosis that is comparatively common with pregnant women. The occurrence of such circumstance has been highly connected with pulsatile tinnitus. A number of theories imply that the greater is the presence of pulsatile tinnitus pregnancy among women is due to the elevated blood flow all over the body during pregnancy. This fact is rational given that one of the major causes of any kind of tinnitus even among other people is due to high systemic blood pressure. Furthermore, pregnancy induced hypertension is considered more severe illness which results to high levels of blood pressure of the body. Despite the fact that it may specify a primary condition, pulsatile tinnitus pregnancy do require an instant treatment. A fast and meticulous check-up with the physician is necessary for the problem to be address right away. It would then keep you away from enduring the discomfort and distress of the ceaseless ringing. However, mild cases of pulsatile tinnitus pregnancy should disappear considerably or completely disappear after a few days to weeks after bearing the baby. Pulsatile tinnitus pregnancy must be treated and cure most specially those severe cases which can be a cardinal sign of some underlying problem. Usually, it is more focused on the blood flow as well as the blood pressure of the pregnant woman. Having all these done, there will be lesser chance to have complications during pregnancy labour. There must be a reason why thousands of ex-pulsatile tinnitus sufferers managed to completely eliminate their tinnitus pain. This fact proves that they must be taking the correct steps in eliminating it. In order to produce the same result, it is important for you to understand what causes pulsatile tinnitus and how it can affect your hearing. This is the crucial steps before you start to cure it. Have you been into a situation where you can hear your own heartbeat or muscle contractions? This is the worst case for tinnitus. Pulsatile tinnitus actually comes from the Non-Vibratory group of tinnitus. It is basically caused by the muscle contraction in your ear, changes in the ear canal and there’s a blood flow problem to your ear. This is also known as the last stage of tinnitus or in other words, the most severe and serious type of tinnitus pain. At this stage, you will need to take a action fast because it can be dangerous and possibly lead you to a permanent hearing damage. To treat this pain, you will need to take more drastic action. There are many possible way to eliminate this pain, however, the safest way it is highly recommended for you to cure this pain through the natural way. Surgery may be one of the great ways but it can be very risky and should there be an unavoidable damaged during the surgery, it will be permanent and there is nothing you can do to gain your hearing back again. Natural herbal for tinnitus treatment has been proven to be effective for more than a century now. It is originated from the Chinese traditional medical approach. The common types of herbs include Ginkgo Biloba, Black Cohosh, Fenugreek Seed Tea and even Sesame seeds. Daily intake of these herbs can help you to ease the pain and reduce the ringing in your ear. Furthermore, it helps the flow of the blood circulation to your ear which can prevent you from the Pulsatile Tinnitus syndrome. TRT treatment for Pulsatile Tinnitus seems to be effective for many sufferers. Basically TRT works by retraining your ear and brain by using the sound generator with a specific course of counselling conducted by trained counsellors. This method however can belonging up to 6 to 9 months for you to see the result. It may take a lot of time but overall it can be worthwhile. Stem cell medical development involves a host of neurological condition. How it works is by taking the stem cells from the embryos which will be transform into a suitable cell for human ear and to be re-grown back again in the area of the ear that shows the sign of problem. This method currently the best method in curing pulsatile tinnitus and it has a very high of successful rate. However, this method can be very expensive and costly. If you’re experiencing a pulsatile tinnitus syndrome, it is very important to take a fast action to eliminate them. Delaying the treatment can be very dangerous to your ear and health. Make sure you consult your local doctor to inspect your tinnitus condition and check how severe it is so that you will able to take more drastic proven natural medical approach in eliminating the pain.